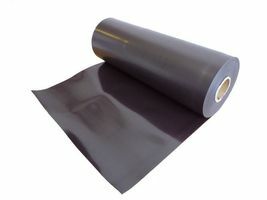 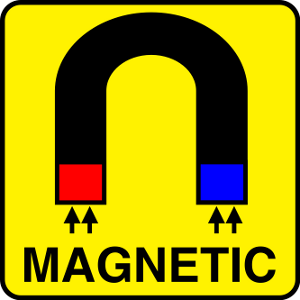 Most widely used magnetic material because of its low cost and high coercivity (doesn't lose magnetic power easily). 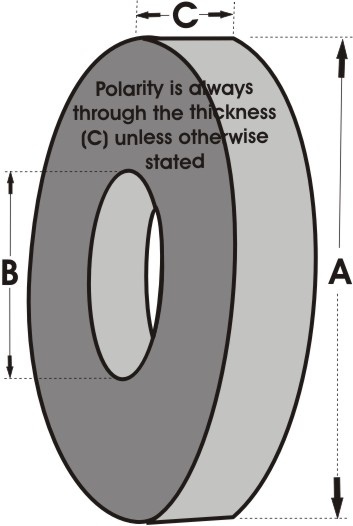 Ring magnets are similar to discs, but feature a hole in the centre. 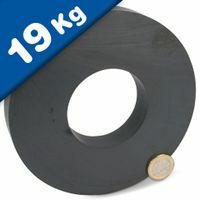 The reduced volume of the magnet results in less strength, but increases their versatility - rings slide easily onto tubes or rods. 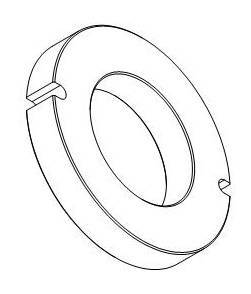 Ferrite rings are available in sizes up to 145mm diameter, and with a variety of internal diameters and thicknesses. 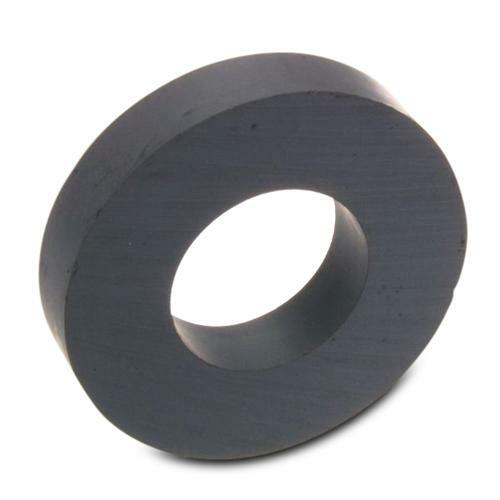 Ferrite magnets are also known as 'ceramic' because they are hard and brittle.